A Chris Goode & Company production in association with Royal Court Theatre. The set itself was sparse; pretty much just Goode stood by a microphone with a number of fans behind him, that for most of the show were still. This was effective in my opinion. It put the emphasis entirely on the storytelling and the light design by Katherine Williams was perfectly matched to the tone of the work. There were some more frenetic moments where everything was amplified; the fans whirring, Goode’s voice loud and shouting obscenities, which felt like poetry written on a public toilet; awful but beautiful. There was a real beauty in Goode’s words and his way of storytelling was so very easy to be swept up in but I guess this is my “But” moment. I feel like the play could benefit from some pruning. It’s not a long play (I think just shy of 90 minutes) but it felt too long. I felt as if some of the material in the last 30 minutes didn’t add anything new and a scene where the character Brian rants to an angel in the street felt too jarring and too noisy…Which could be the point of that moment for that character but it didn’t work for me. There were also certain aspects I didn’t quite “get” what was trying to be said. Is it that “there is nothing…it’s all junk” as one character espouses? Or is it that we are all seeking for meaning, seeking to be connected yet finding ourselves unheard and untethered from the world we exist in? The play takes it’s title from a piece of work by Robert Longo; a piece of art that the young Rufus within the play goes and looks at. It is of male bodies contorted and flailing. And that is the essence of the story to me and where it’s real strength lies; pulling open this idea of what it means to be a man and taking a look inside. There is no easy answer. 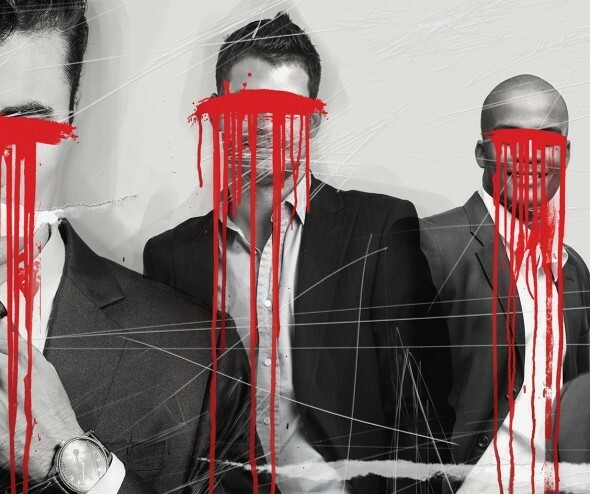 Men In the Cities is on at The Royal Court Theatre (London) until 1st August.